Don’t market yourself to fit academic fads. If this is a lie, then the truth is that you should market yourself to fit academic fads. Pros: Marketers find a need, and they fill it as quickly and easily as possible. Any good marketer can sum up what a product can do for you. And that’s exactly what you need to do as an academic. You don’t have to sell yourself as the Pet Rock of Professors, but you will not get a job if you do not specialize in a subject that a university needs. For that reason, you need to research the academic market just as much as you need to research your subject of choice. Cons: Fads don’t last. Consider the Pet Rock. Choosing a hot field of study is smart, but it takes a long time to earn a degree in the humanities. A grad student runs the risk of graduating right when an academic fad starts to cool off, which means all the slots are filled. Aspiring professors with student loans can’t exactly sit around until the next fad begins. On the bright side, this problem could be solved if grad programs admitted fewer students and offered more funding so students could finish their degrees faster. Conclusion: Fads may be short, but the number of academic jobs is dwindling so much that the pros might outweigh the cons. Furthermore, approaching your career with a little marketing in mind might help you build a side skill that you can use if you don’t wind up in academia. 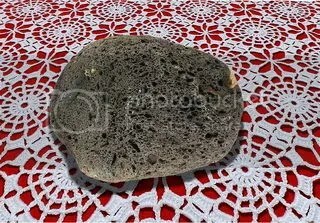 Image of a pet rock by CarolSpears, under a Creative Commons license.